First village in Spain to be declared a National Heritage Site in 1940. 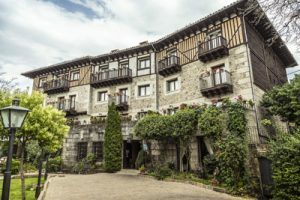 If you wander through the streets and squares of La Alberca, you, will find attractive scenes and beautiful views of the popular architecture that features stone and geometrical wooden beams. La Alberca has been, over the centuries, the union of Christian, Jewish and Muslim cultures. 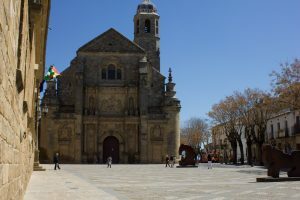 The Plaza Mayor – or main square – with its pergolas framed by stone columns, is still the focal point of the town’s social life. The most important religious structure is the Asuncion parish church, built in the 18th century. At Doña Teresa you will have your own single room with private en suite bathroon, containing air conditioning, central heating, study area, two closets, and a double bed. The hotel facilities’ includes restaurant where you will enjoy most of your meals and a bar for the social encounters during the program. Other services included: WIFI connection, free parking, paid laundry service. Each floor is accessible by elevator. There is a SPA in the nearby hotel of Abadía de los Templarios, another one of our venues for the Diverbo programs. Check out the reviews for the hotel on Tripadvisor. Leaving from La Alberca, there is a circular walking route that takes us through tranquil oak and chestnut forests and by boulder-laiden meadows, reminding us of the natural and cultural “roots” of the area. The historic attraction is the hermitage of the “Majadas Viejas”, which dates back to the 11-12 century, built to hide a virgin wooden statue. The route provides an opportunity to appreciate the area’s great scenery and fascinating history, not to mention some modern artistic surprises along the way. During the program there will be a half-day excursion to enjoy the nearby town of Ciudad Rodrigo or the reknown city of Salamanca. We will be providing bus/coach transportion from Madrid to La Alberca. The journey time is 3.5 hours (approx. 4 hours on return journey). The meeting point is located near our main headquarters in Madrid and the bus departs on the first day of the program – Friday. On the last day before sadly leaving the program, the bus will be scheduled to leave around 15:00 hours, so you’ll arrive back to Madrid at about 19:30 h. You would have to book your travel back home no earlier than 20:30h (train) or 21:30h (airplane). (Note: This information is subject to change. You will be given exact details during the application process). Ubeda and Baeza are World Heritage sites since 2003 and recently (upon archeological findings in 2009) declared “the oldest, scientifically documented city in continental Europe”. To visit Ubeda is to travel in time. The city’s historical past has left indelible footprints of its former glory. During the renaissance, they reached its maximum splendor, and its streets and squares are full of palaces, convents, stately houses and city walls. Their urban landscape clearly belongs to Renaissance Spain, though we cannot forget its medieval, baroque and popular aspects. 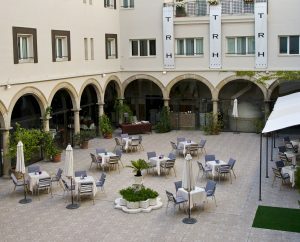 The hotel is located in the historic center of the town, near the Town Hall and the Vázquez Molina plaza. It’s a charming, quaint hotel, built in renaissance style and has been recently remodeled. All rooms are fully equipped. You will have your own room with en suite bathroom. The hotel services include restaurant where you will enjoy most of your meals and a bar for the social encounters during the program. The hotel facilities include: WIFI, air conditioning, paid parking. In the summer months you can enjoy the tranquil terrace and cool off in the outdoor pool. Not much time is left in the busy program schedule, but there’s also a SPA service which you can enjoy in your own free time. You can check out the rest of the details on Tripadvisor. 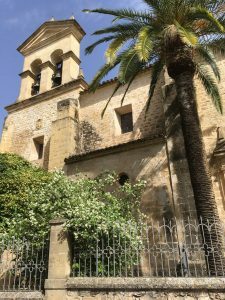 In most of your “one to one” sessions you will be able to enjoy walks through the streets of Ubeda and Baeza and the great views of the olive tree and surrounding mountains. The province if Jaen is the largest producer of olive oil in the world. Its’ landscape is called “mar de olivos”, which means an ocean of olive trees. We will be providing bus/coach transport from Madrid to the venue. The journey time is 3.5 hours (approx. 4 hours on return journey). As soon as you get the bus you will be travelling with the Spanish volunteers whom will be eager to begin talking your ear, in panish of course! The meeting point is located near our main headquarters in Madrid and the bus departs on the first day of the program – Friday. On the last day before sadly leaving the program, the bus will be scheduled to leave around 15:00 hours, so you’ll arrive back to Madrid at about 19:30 h. You would have to book your travel back home no earlier than 20:30h (train) or 21:30h (airplane). (Note: This information is subject to change. You will be given exact details during the application process). Baeza is known for the legacy of its monuments and for housing a university since the 16th century (currently the International University of Andalucia). It was a strategic point in the retaking of Al-Andalus by the Christian monarchs. During its period of great demographic and economic growth – most of the 16th century and part of the 17th – Baeza built its public and administrative buildings. They, together with the churches, make up the majority of the architectural monuments that delight the visitor. Not much time is left in the busy program schedule, in the summer months you can enjoy the tranquil terrace and cool off in the nearby public pool in your own free time(just 10 minutes walk). In most of your “one to one” sessions you will be able to enjoy walks through the streets of Baeza and the great views of the olive tree and surrounding mountains. The province if Jaen is the largest producer of olive oil in the world. Its’ landscape is called “mar de olivos”, which means an ocean of olive trees. We will be visiting the nearby town of Ubeda. During the renaissance, Ubeda reached its maximum splendor, and its streets and squares are full of palaces, convents, stately houses and city walls. Ubeda’s urban landscape clearly belongs to Renaissance Spain, though we cannot forget its medieval, baroque and popular aspects. We will be providing bus/coach transport from Madrid to the venue. The journey time is 3.5 hours (approx. 4 hours on return journey). As soon as you get the bus you will be travelling with the Spanish volunteers whom will be eager to begin talking your ear, in Spanish of course! The meeting point is located near our main headquarters in Madrid and the bus departs on the first day of the program – Friday. On the last day before sadly leaving the program, the bus will be scheduled to leave around 15:00 hours, so you’ll arrive back to Madrid at about 19:30h. You would have to book your travel back home no earlier than 20:30h (train) or 21:30h (airplane). (Note: This information is subject to change. 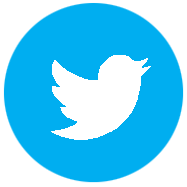 You will be given exact details during the application process).